HZS90 concrete mixing plant produced by our company mainly uses modular structure so that the installation is convenient and the demolition is also very convenient. 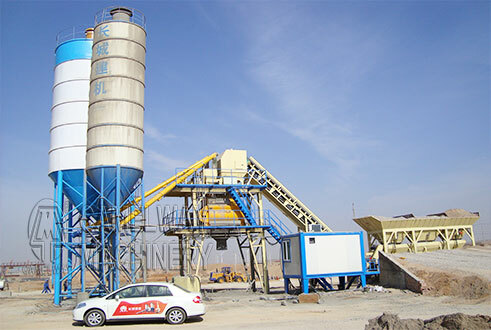 What is the most important thing is that the cost of HZS90 concrete mixing plant is low. HZS90 concrete mixing plant is beautiful and easy to install and remove, each layer can be opened from the flank. It is also easy to repair and replace parts. Our company has advanced production equipment and superb production technology, every employee is responsible, every technical staff has strict requirements on their own, in the technology we strive for excellence, in service, we try our best to do something until make the customer satisfy, and we solve the problems of the customer in time. The above is the advantage of HZS90 concrete mixing plant in our company, we hope that can help the users. We sincerely welcome customers to our company to inspect the machine of our company.